ISBN: 9781842175156 | Published by: Oxbow Books | Series: EARTH SERIES | Volume: 2 | Year of Publication: 2014 | Language: English	304p, 285 col illus. This volume is the outcome of collaborative European research among archaeologists, archaeobotanists, ethnographers, historians and agronomists, and frequently uses experiments in archaeology. It aims to establish new common ground for integrating different approaches and for viewing agriculture from the standpoint of the human actors involved. 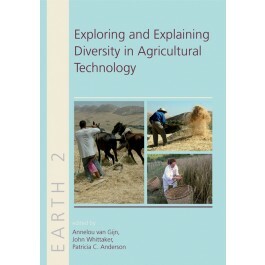 Each chapter provides an interdisciplinary overview of the skills used and the social context of the pursuit of agriculture, highlighting examples of tools, technologies and processes from land clearance to cereal processing and food preparation. This is the second of three volumes in the EARTH monograph series, The dynamics of non-industrial agriculture: 8,000 years of resilience and innovation , which shows the great variety of agricultural practices in human terms, in their social, political, cultural and legal contexts. "‘…a highly recommended volume for researchers working in other geographies and other periods."